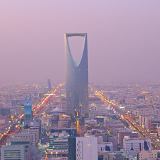 Riyadh is the contemporary and historic capital of Saudi Arabia. With over 8 million residents, it is the most populous city in the country. Riyadh offers you the chance to explore its history and culture. The top tourist attractions of this destination include Masmak Fort, the National Museum of Saudi Arabia, and the Al Faisaliyah Centre. Get ready then to discover this modern city, because cheap flights to Riyadh are now available for a limited time! 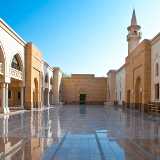 The capital is served by the King Khalid International Airport (RUH), which is a 30-minute drive from the city centre. Riyadh offers you such memorable experiences as the world’s biggest camel market, and the awe-inspiring views of Acacia Valley’s cliff! Riyadh dates back more than 500 years. Explore the many structures that are signs of the city’s wealth of history. 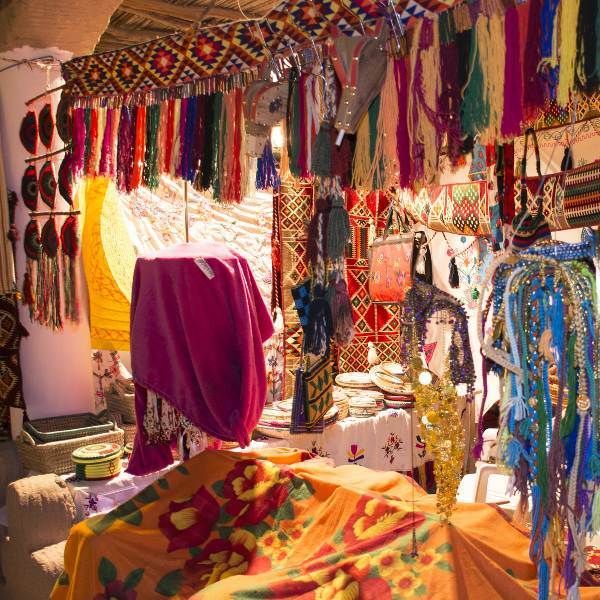 Spoil yourself with all the malls in Riyadh, as well as the variety of stalls at the many bazaars. Avoid the rainfall, get cheaper accommodation and skip the crowds by visiting Riyadh during the months of April (spring) and October (autumn). Another time to consider is the summer season (May – September); however, this is when temperatures can reach as high as 50°C. The most popular time to visit Riyadh is during the winter months (November – March), when the weather is at its most favourable (although you would experience more rainfall) and the amount of tourists visiting the city reaches its peak. Riyadh is Saudi Arabia’s political, financial and administrative capital, and is one of the most affluent cities in the world. This city boasts a culture that is more than 500 years old, its remnants of the past including magnificent historic buildings and sites. First, there is the Masmak Fort, a mud-brick structure, with four watchtowers and thick walls. It was built around 1865 by the prince of Riyadh, Abdulrahman ibn Sulaiman ibn Dabaan and has witnessed the city’s wealthy history. Then, there is the museum of Murabba Palace, which is an impressive structure, built by King Abdulaziz and completed in 1938. The amazing Kingdom Centre tower offers breath-taking views of Riyadh, and you will find a shopping mall on nearly every street in the city. Treat yourself to this superb destination. Compare several airlines, and book your cheap flights to Riyadh online at Travelstart! 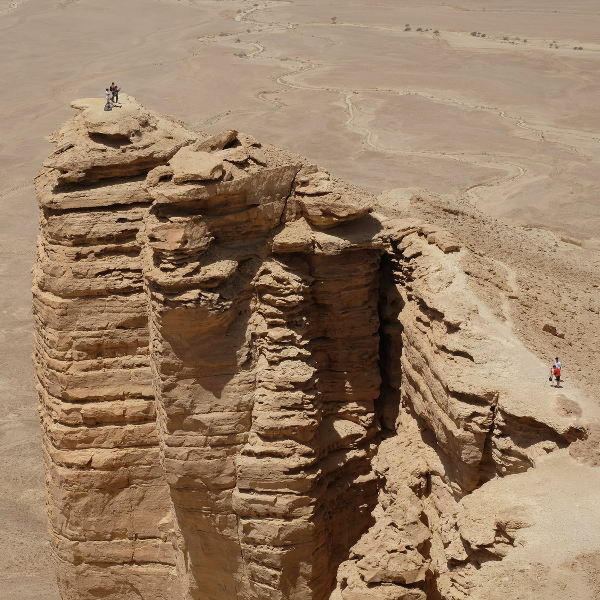 The Centres for Disease Control recommends that travellers visit their doctor and get up to date on all the routine vaccinations before travelling to Saudi Arabia. Other diseases to be wary of include hepatitis A and B, malaria, meningitis, and rabies. Make sure to take the necessary precautions. Riyadh is a conservative city and its citizens are more traditional in their beliefs. Take note that, as a result, public affection is not encouraged. Women must cover themselves with an abaya and should carry a headscarf as well. The biggest danger in Riyadh is on the road. Most of the drivers come from areas in developing countries which lack traffic laws, driving schools and even roads. Don’t hesitate to use your hooter. 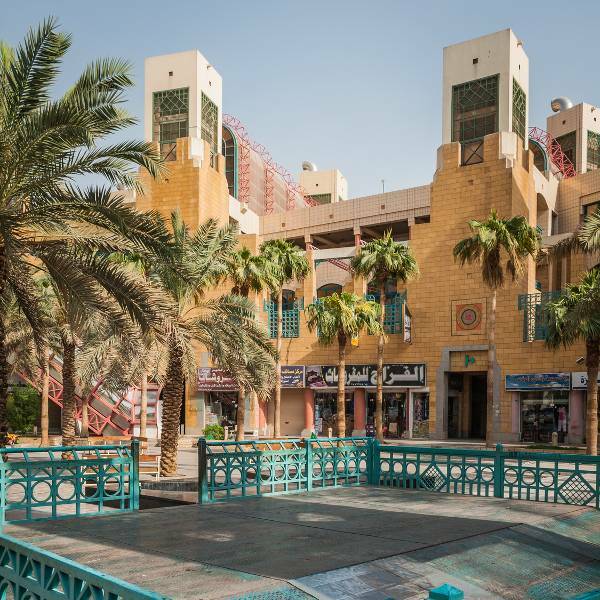 Consider staying at one of the hotels that are available around the centre of Riyadh. Many of them include restaurants, bars, fitness centres, kids’ playrooms, pools, spas and more. In terms of cost, you’re looking at range from over SR 170 to over SR 2000. The best option for travelling around Riyadh is by car, either driving yourself or being driven by someone who is familiar with the conditions of Riyadh. Beware when on the road – standard local driving behaviour would be described as aggressive. Most visitors use the white taxis, which are available throughout the city. The drivers use meters, with a starting fare of over SR 5, and under SR 2 per kilometre after the first one. Most drivers prefer to haggle, however, doing so might save you on your travelling expenses. Male passengers are expected to sit in front while female passengers must sit in the back. There are buses in Riyadh, but these are mainly used by the labourers, and may prove difficult to use.